Aficionados of the local arts, jewelry, and fashion are looking forward to the comeback of the FilipinaZ fair, regarded as one of the country’s most well-curated shopping festivals. With women advocacy group Zonta Club of Makati and Environs Foundation at the helm, this annual bazaar gives spotlight not only to handmade works by artisans but also to the fierce, progressive, and hardworking characteristics of Philippine women. For the past decades, Zonta has been leading drives that protect disadvantage women. Their missions include providing health care services, enhancing livelihood programs with indigenous communities, and helping in the rehabilitation of sexually harassed women. Zonta also has an ongoing full scholarship that helped fund the tertiary education of more than 150 students. Artist Ronna Manansala’s considers dancing as her first love in the field of arts. “Ever since I was little, dancing has been very close to my heart. I try to transcend this passion into the different kind of art I am into now, which is painting,” she told Nolisoli.ph. 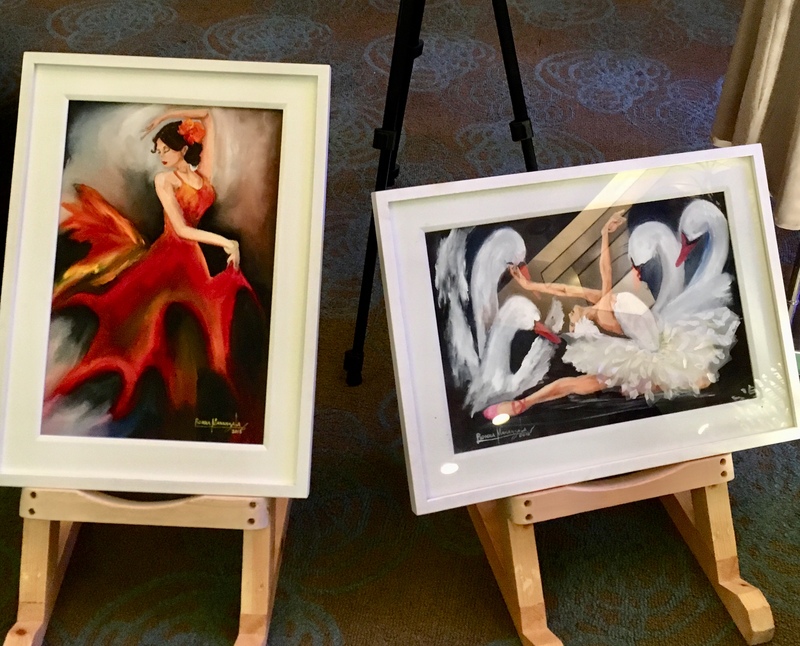 Mostly oil on canvas, Manansala’s paintings to be exhibited in FilipinaZ depicts a wide range of dances varying from the graceful ballet to the folkloric flamenco. Manansala, granddaughter of National Artist for Visual Arts Vicente Manansala, has long been a recipient of support from women in Zonta, even while she was still in school, she shares. 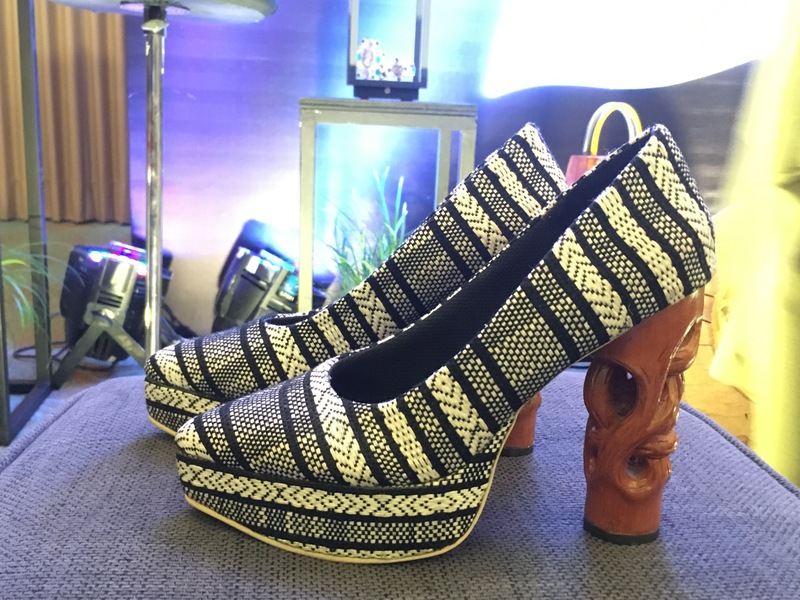 Hailing from the shoe capital of the Philippines, Risque made this intricately designed high-heeled shoe purely with indigenous materials. The fabric used is weaved by the brand’s partner indigenous communities, mostly from Negros Occidental. The complex details of the heels, on the other hand, are carved by locals from Paete, Laguna. “These bags are not just accessories where you put your valuables. It also serves as a vessel that carries my hope for the future of the environment, for the future generation, and for the empowerment of women,” Baldemor said during the press preview. 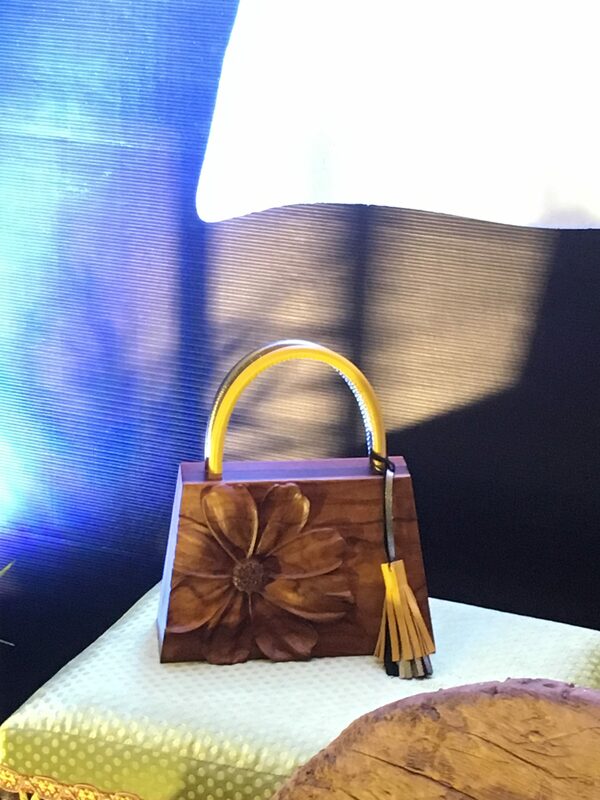 For this year’s collection, Baldemor chiseled her signature floral sculptures into repurposed wood mixed with other locally sourced materials, including leather. A member of Zonta Club herself, Baldemor was born and raised by a family of sculptors in Paete, Laguna, the carving capital of the Philippines. 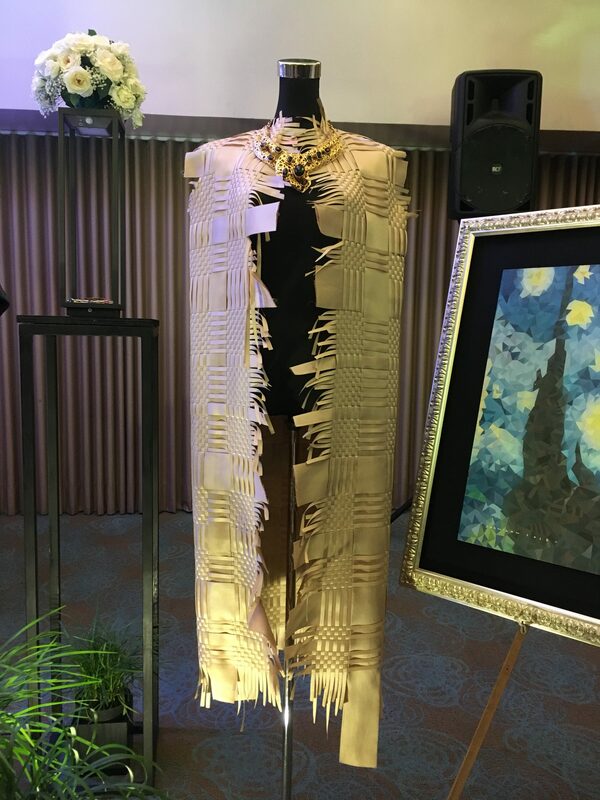 Accenting the handcrafted vest is Carlo Evaristo’s gold necklace, another handcrafted, locally produced statement piece. 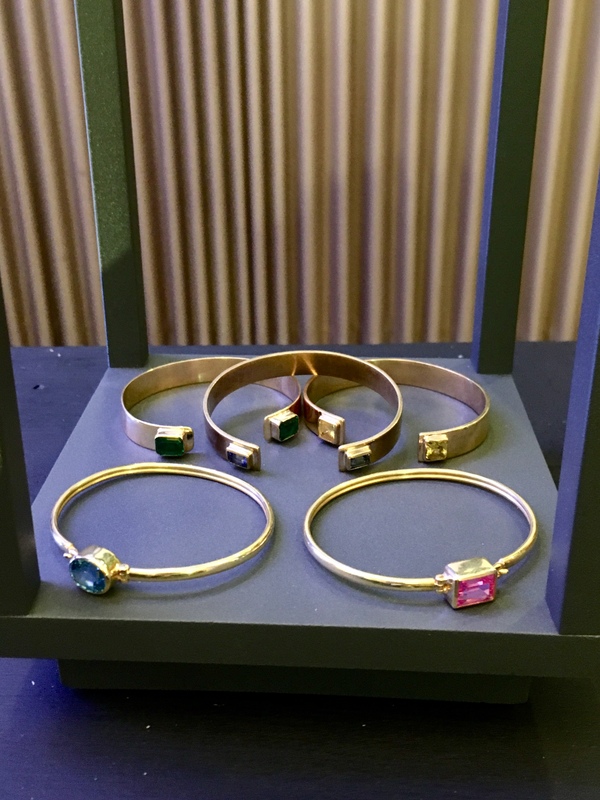 Looking both sophisticated and antiquated, these handcrafted bracelets were individually made by one of the country’s premiere jewelry designers, Elena Bautista. The designer is also “resets” and up-cycles old jewelry pieces in her new collection. She was exposed to the jewelry making business ever since she was little, coming from a family of jewelry designers. An unearthed collection of works by National Artist Ramon Valera will also be showcased in the fair. VALERA UNEARTHED. Ramon Valera’s legacy lives on in his notable works that celebrate the Filipina. This fashion vignette will feature some of Valera’s pieces belonging to some of the members of the club, and their friends, that have never been publicly showcased. The setting will also serve as a platform to unveil new designs as the late designer’s family unveils a few pieces to pay homage to Valera’s legacy of craftsmanship and artistry. FilipinaZ Fair 2018 is on November 9-11 at the 21st Floor, 8 Rockwell, Hidalgo Drive, Rockwell Center, Makati City.